February 22, 2017: People like me are putting people like you out of business. Fortunately for people like you, there are few people like me. Irwin toasting over the beat! Yes, let's have some rockin' and rollin' ... Oh! Whoa! We are the people of tender voices. Robots will put people like you out of work, so it's moot, innit? ...see, these are the kinda people you wish BrianWilson would collaborate w/ - right? RSM is a big Lemon Twigs fan, and I think the feeling is mutual. Until Ken this AM said the front page art was a cowboy crawling across the desert, I'd thought it was a short Swiss guy in the Alps rocking to some yodeling music. Dionne Warwick is also an E.O. alumna. Big ups, Essex County! That confuses me to this day. You have your FCC license in a completely different city from where you broadcast from. "Rocking too hard can be bad business!" WFMU's recurring financial plight in a nutshell. If you're keeping score at home, the piece on the previous entry aired here of Music Factory that was IMO really bad was called "Poem By The Sea". Not spectacularly bad enough to get laughs from, though. My band has a rule: NO NOODLING! Irwin, in the hallowed annals of WFMU, has anyone ever played Three Doors Down? Even as a goof? Although we spend a lot of time in Dorian mode. Hey, this guy ain't catching catfish. And who is Modes? Hello, Irwin and Irwinners! Everyone's a winner today. No he didn't. It's in a Cowsills commercial. Irwin, you've totally sold me on Organic Sincere Beige Folk-Rock. Nylon? That's not organic. Shouldn't he be using silk strings for the maximum mellowness? I wonder where those models are now. Never paid any attention to Drive By Truckers, but this has a great country jangle and is really crisply recorded. My grandfather was once chased down the street by Little Jimmy Dickens for hitting his Cadillac with a rock. Irwin you never answered Jack's penetrating question. DBTs are great, Jack! Highly recommend listening to "Grandpa Rock City." What is "Three Doors Down," Jack? Remind me. Three Doors Down is the formerly more popular band that played Trump's inaugapalooza. Jason Isbell was a member of Drive By Truckers up until 2007. Jason Isbell has some terrific solo stuff. Agreed, notably his CD "Southeastern". I saw Drive By Truckers a few years ago. They were OK. They said to the audience they should check out The Minutemen. I thought that was swell. Mellotron on this Stones track? I like the Stones stoned. second play of the day! Kyle Forester from the Ladybug Transistor! Thanks, Jack. Didn't know where KF done growed up musically. Yes....listenus interruptus from that Vanishing Twin tune. I was really grooving on it! Well, one way to conserve energy is to simply stop. I'm unconvinced it wasn't intentional. I recall "Society's Child" well. We anti-racist 1960s teens loved the song. Little did I know Janis was just from a few miles away. Janis's first four albums are available on a 2cd set. There's some incredible songwriting, lyrics, and arrangements on those albums. Shadow Morton produced the first three. Richie Havens and Shadow Morton died two months apart in 2013. Richie had such a nice voice that was bordering on overdrive/distortion when he called on it. That perfect warmth that a tube amp sometimes has. answer: according to the playlist search, no. Thanks Berbo! I do not expect nor desire Herr Chusid to rectify this, but one never knows, do one? Wow. Good to know ad copy writers were always dumb. When the girls break the fourth wall and start giggling I got to gag. The last verse of Soc. Child just kills me every time. 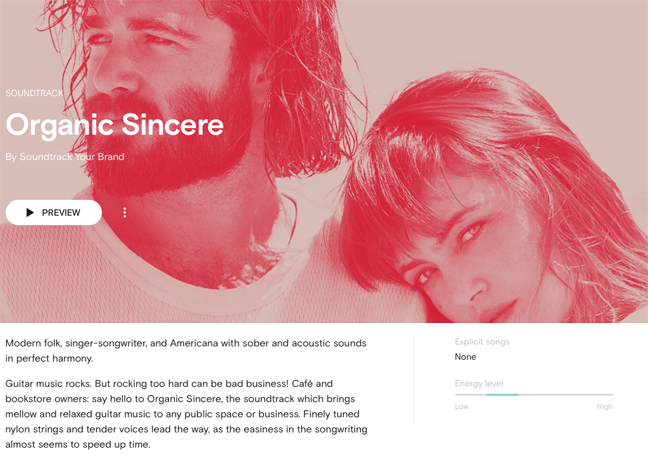 At first I thought organic sincere was an LP by Dennis Wilson and Jane Birkin. Man, "Society's Child" is so absurdly good. Amazing arrangement on "Janey." A fine drum part, too. I cried hearing Society's Child. Whoa. The other songs are a great surprise too. When did insanity come to Trump's unstructured mind? Nice use of the Hammond Porta-B. I am going to have to dig into those early Janis records, as Irwin suggested. ... Irwin, are there tracklists for the Music Factory episodes themselves? Just curious. Tracklists: yes, added after broadcast. Check previous archived shows. I have Ian's autobiography on my shelf, but haven't read it yet. the voiceover on that tim hardin spot sounds like rosko. What is with the "Bean" nickname? The v/o on the Cowsills is definitely Scott Muni. He and Rosko were both at WNEW-FM around that time. Dale: Probably when I was a wee'un. picked up a scratchy copy of rekkid, but never saw the film. it must be zany if the soundtrack is an indication. This is very forward in sound. Best recorded RSM album evah, thanks to JF. Heh, this is rather good! "Amity Gardens" is just stunning. I saw them when they were touring to support Interstate Managers, and Collingwood said this is one of his songs, inspired by an apt. plex where he lived for a while on LI. @Parq, that could easily be "X Gardens, X Parkway". I lived out there many years and can understand the sentiment! Can't answer that, Michael, but if the NYT is hysterical about it, it's probably not that big a deal. And Irwin pisses on The Old Grey Lady, I can share some of that sentiment, but remember the free press is where you might be able to get some info that hasn't been Trumpspun. Moving into some nice territory here, Irwin. By any chance was that last piece "Hard Bop?" Fred: Hank Mobley is a prime example of the form. Anything he recorded is top-shelf. I prefer" Fredericks." There are just too many Freds. Thanks for the info. Love the show. a very late bob and ray. Any time you want to play an hour of Bob & Ray, I'm there.